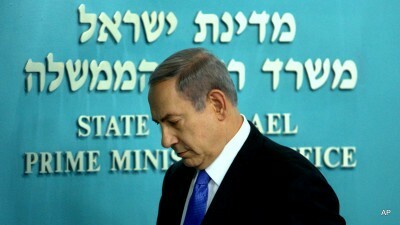 Binyamin Netanyahu had mistakenly thought that Israel’s increased trade with China would guarantee him a political advantage and support for a Greater Israel based on illegal settlements in the Occupied Territories of the West Bank, East Jerusalem and the Golan Heights plus his blockade of Gaza. However, this week’s pronouncement by the Chinese Premier of specific Chinese support for an independent State of Palestine with Jerusalem as its capital has not only thrown a bucket of iced water over the Likud leader but means his political career is now all but finished. Now the Israeli electorate must choose a politician who is free of the narrow-minded constraints of colonial Zionism, with its ‘pricetag’ terrorism, and is prepared to drag Israel into the 21st Century and to co-operate in the long overdue establishment of a Palestinian state for five million indigenous Arabs over the whole of the West Bank and East Jerusalem. This will entail the repatriation of more than 500,000 illegal settlers and the dismantling of all settlements in the Occupied Territories in their entirety so as to revert to the 1967 borders as required by the United Nations and the international community. This has been a long time in coming. But there is now nowhere for this Israeli-born, American-raised, anachronistic Zionist to go, except into a long-overdue retirement, together with his Likud Party. And that can only be a move towards peace in this long and unnecessary conflict that has bedevilled the Middle East for nearly half a century.